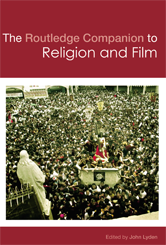 The Routledge Companion to Religion and Film brings together a lively and experienced team of contributors to investigate the ways in which this exciting discipline is developing. Divided into four parts, the Companion: analyzes the history of the interaction of religion and film, studies religion-in-film, uses diverse methodologies to explore religion and film, and analyzes religious themes in film. This definitive handbook provides an accessible resource for this emerging field and is an indispensable guide to religion and film for students of religion, film studies, and beyond.